Home Brands Bobble Water Bottles: Does One Deserve a Spot in Your Cup Holder? Sometimes the quest for the perfect drinkware can feel like a never-ending search. If you’re struggling to find the perfect bottle, then let us introduce you to bobble water bottles. If pure, odorless and tasteless water ranks highly on your must-have list, then bottles with built-in filters may be just what you need. Come along with us as we review bobble bottles to determine if we’ve found the perfect bottle for everyday use. What Are Bobble Water Bottles? Bottles from bobble contain small filters that remove odors and tastes from water. The brand also offers a double-walled option that is vacuum insulated and does not include bobble’s filtration system. 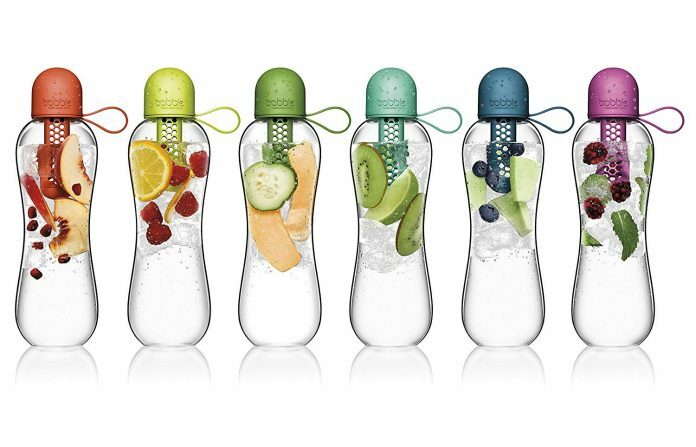 Bobble bottles are easily recognizable thanks to their signature curvy bubble shape. From curvy filtered bottles to vacuum-insulated ones, bobble produces a few different beverage dispensers for you to choose from. We’ll explore both the selling points and downsides to each below. This bobble water bottle, which is made from clear BPA-free plastic, is the one the brand is most widely known for. With a curvy silhouette, the Classic is pleasant to hold and easy to grip. It also serves its purpose as a drink carrier with simplistic, yet eye-catching, good looks. A pop of color on bobble’s original water bottle is provided by the tethered lid and sipping spout with an integrated filter. Let’s discuss this filter in greater detail, as it’s the major selling point of this particular bottle. One carbon filter, which is replaceable, is included with each of the Classic drink carriers. With each sip you take, water flows through the filter before making its way to the drink spout. Unwanted odors and tastes, such as chlorine found in municipal water sources, are trapped so that only pure and fresh-tasting water is delivered to quench your thirst. The company recommends replacing the filter every two months, or after it has filtered roughly 40 gallons of water. There are many reasons to opt for this bobble bottle. Bobble aims to limit consumers’ reliance on plastic water bottles that can be used only once. Each time you reach for a throw-away bottle of water, what you’re really wanting is water that’s clean, tasteless and odorless. The Classic bottle provides this with a personal water filter and a re-useable design that creates less waste over time. Once you decide it's time for a replacement, the bobble bottle is even recyclable. Another plus is that changing up the color of your water bottle is as simple as replacing its filter, as the replacement carbon filters are available in a variety of hues. 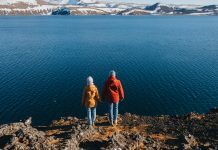 Many who have owned and love bobbles cite that the bottles are excellent for traveling, as they are lightweight and allow you to always carry along your own personal water filter. There are also several negatives that keep this option from being the absolute best water bottle you can buy. While replacement filters are still available for purchase, their price has seemingly risen since the company stopped selling them directly from its website. This means that in some instances, it may cost more to purchase a new filter than to buy a whole new bottle. Some who have given the bottle a try and didn’t fall in love with it note that the top opening is not wide enough to easily fit ice cubes. It's also difficult to get large gulps from the sipping spout. The bobble Classic Water Bottle is available in a variety of colors from Amazon. At the time of this review, Amazon was offering the 18.5-ounce bottle for $ and the 34-ounce one for $. Amazon also carries replacement filters for the bottle. The current best deal is a two-pack of gray filters for $, but many filters are retailing for $ or more. This bobble option is the best choice if you’re participating in active pursuits. Like the Classic bottle, the Sport bottle utilizes the same bobble water filter, so we won’t focus too much on that here. Instead, we'll discuss what makes this particular bottle different from the original Classic water bottle. This 22-ounce beverage dispenser has a more elongated shape, so it is able to fit into most bike cages and into the cup holders of treadmills and other exercise equipment. Unlike other bobble water bottles with filters, the Sport bottle comes in a range of translucent colors rather than just clear plastic. It’s also designed with a molded grip that makes keeping a hold on the bottle during vigorous activity a breeze. If you’re as lazy as we are when it comes to hand-washing drinkware, then you’ll be happy to know that although this bottle is still comprised of BPA-free plastic, its build is more durable, making it dishwasher safe once the filter has been removed. Many users of this bottle mention that they prefer it over bobble’s Classic simply because the Sport is easier to squeeze while drinking. Some owners complain that, like the Classic, they can only manage smaller sips at a time from this bottle. This could be annoying if you prefer long swigs to combat thirst during tough workouts. Some also lament that their bottles leak over time, although this didn’t seem to be an issue experienced by everyone across the board. The bobble Sport Bottle is available on Amazon. At the time of this review, the prices ranged from as low as $ to as high as $ depending on the color selected. The Sport uses the same replaceable filter as the Classic bobble. The 20-ounce bobble PLUS bares a striking resemblance to the original bobble water bottle. It retains the same bubbly shape, is constructed of a clear BPA-free plastic and again utilizes the same filter. While the bottles have several similarities, there are a few features that set them apart and may make one of them a better choice for you. The PLUS has a filter cage that provides two options: Either insert the filter for purer water, or remove it and use the cage as an infuser to impart flavors into your beverage. Comprised of a thicker Tritan plastic, this bobble can be washed in the dishwasher, so long as the filter is removed. One of the largest positives of the PLUS is that it allows you to either filter or infuse your water. While owners of the bottle appreciate having options, some both loathe and love that it utilizes a more durable plastic. They like that the bottle seems stronger, but this does make it more difficult to squeeze and get water out of. As with bobble’s other offerings, some users also complain of leakage issues. 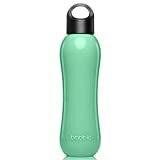 Amazon sells the bobble PLUS bottle in a variety of colors. Prices ranged from $ to $ at the time of our review. The PLUS also uses the same replacement filters as other bobble bottles. The Insulate is bobble’s foray into the ever-popular vacuum-insulated water bottle market. The double-walled container is constructed of stainless steel and doesn’t impart tastes or odors into your beverage. Like other vacuum-insulated bottles, the biggest draw of this bottle is the amount of time it maintains the temperature of its contents: 24 hours for cold drinks and 12 hours for hot. Consumers who love bobble products for their in-bottle filtration systems will find themselves disappointed that the Insulate doesn’t utilize a filter. As with other bobbles, the Insulate maintains the brand’s characteristic curvy appeal. Some who have purchased the bottle note that it does keep their drinks cold for an impressively long time. It should be mentioned that a bottle such as this is most effective at keeping drinks chilled for the long haul when the beverage is sufficiently cold to begin with. This can sometimes pose a problem with the Insulate, as it doesn’t have a wide-mouth opening. This means fitting a desirable amount of ice into the bottle can be a struggle. A common complaint from owners is that the twist-off lid isn’t attached like the lids on other bobble products are, making the Insulate lid easier to lose. The bobble Insulate is available on Amazon in a wide variety of colors and designs. The least expensive one lists for around $, with the majority of bottles costing between $ and $. Bobble isn’t the only manufacturer of water bottles with filters or bottles that are vacuum insulated. We compared bobble bottles with other popular options to determine if other drink carriers are more deserving of your attention. Like the bobble Classic, this Brita water bottle filters out tastes and odors with each sip of water. It also has a replaceable filter that lasts about as long as bobble’s offering does. 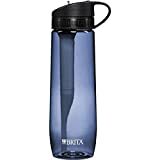 Brita recommends replacing the filter in this hard-sided bottle every two months or after filtering about 40 gallons of water. 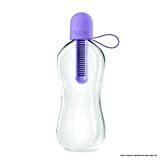 Users of this bottle, just like owners of bobble bottles, seem to most enjoy that they’re able to drink freshly filtered water no matter where they are. BETTER TASTING: The water bottle filters and reduces chlorine taste and odor found in tap water as you drink. However, users of Brita and bobble bottles also share many of the same complaints. Several consumers have experienced leaking issues with Brita bottles, possibly to a heavier extent than with bobble bottles. One big plus is that Brita’s filter replacements are a better value than bobble’s, with a five-count package of Brita filters selling for around $. This vacuum-insulated option from Liquid Savvy is a great buy compared with bobble’s Insulate. In fact, it seems that Liquid Savvy already has its own provided solution to nearly every problem that occurs with bobble’s steel bottle. While Insulate owners have found it difficult to fit ice into the smaller opening, Liquid Savvy’s bottle features a wide-mouth opening. 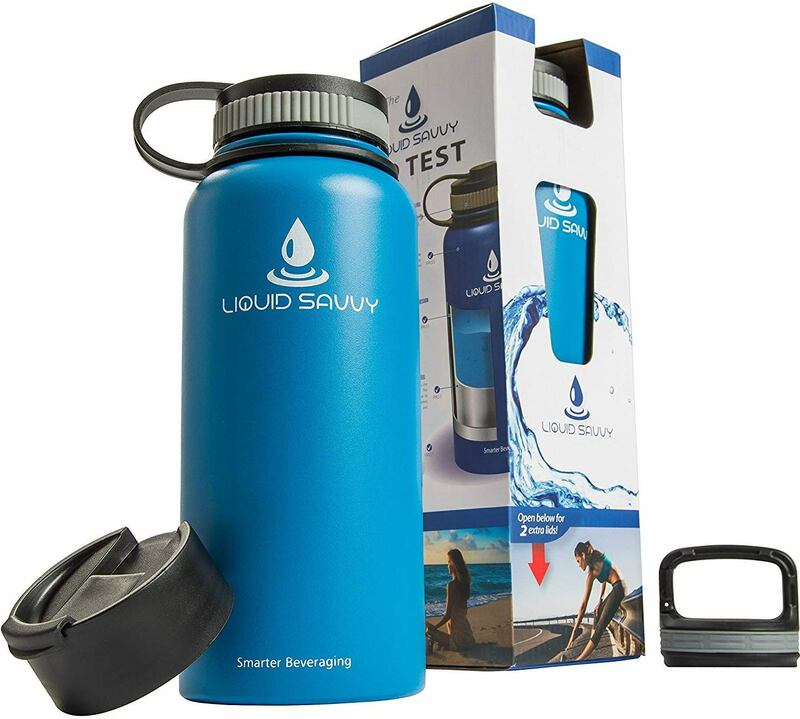 Some also complain that the Insulate's lid screws off and isn’t attached, but Liquid Savvy’s product comes with three different lids, making the bottle conveniently useable in nearly any scenario. Liquid Savvy's similarly priced container also holds twice as much water as bobble’s Insulate does. There are some cases where a deal almost seems too good to be true. It thus should be mentioned that while most owners of this Liquid Savvy bottle rave about it, more recent purchasers complain of excessive leaking and subpar quality. So buy with caution. There are a few things to consider before you commit to a bobble water bottle. If not being able to easily fill the bottle with ice or take large gulps would annoy you, then you may prefer another option. 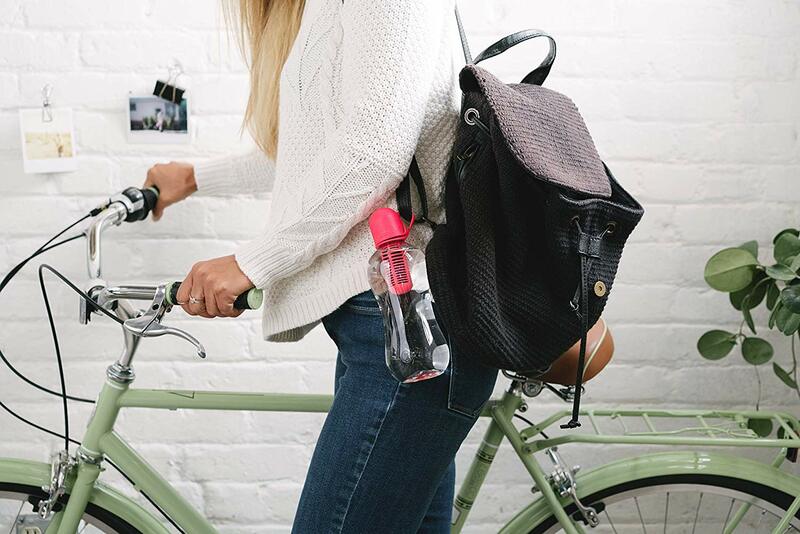 On the flip side, if you want freshly filtered water wherever you go and the extra perk of an eye-catching bottle that looks good enough to double as a fun accessory, then a bobble bottle is definitely worth checking out. 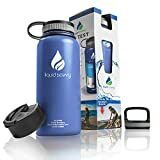 The bobble water bottles features a convenient tethered lid and eye-catching signature curvy bottle shape is easy to grip, However It can be difficult to fit ice into small bottle opening.